In our continuing effort to publish the previously unseen (and rather marvelous) military portraits of famous enlistees, here’s the official U.S. Naval Reserve photo of John Coltrane, the pioneering jazz saxophonist. 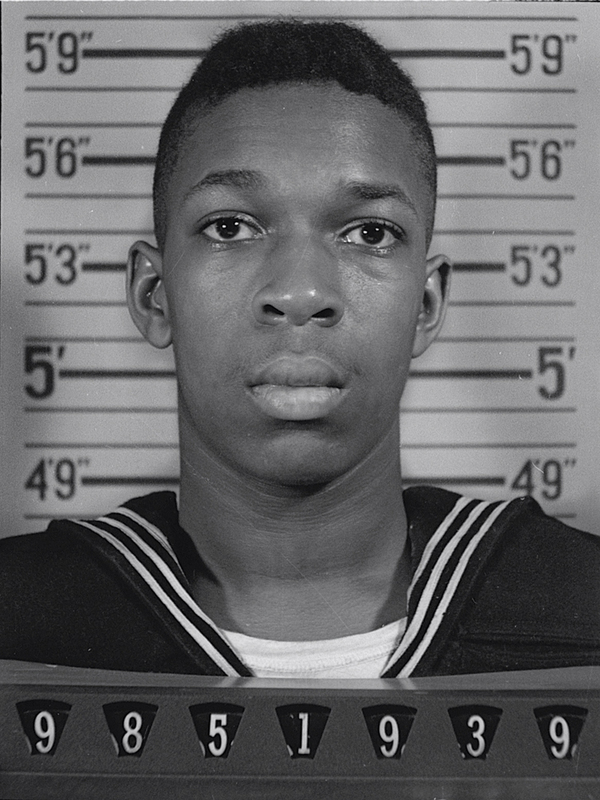 Coltrane, who would later collaborate with Miles Davis and Thelonious Monk, was photographed in mid-1945 following his voluntary enlistment as an apprentice seamen (Coltrane was 18 at the time). Previous military shots published in these pages include portraits of Paul Newman, Johnny Carson, and Earl Woods, father of golfer Tiger Woods. Submitted by kazman82 on Thu, 2010-09-30 11:03. AMAZING conincidence, Coltrane and Newman EXACTLY same height on enlistment. Well, interesting anyway!! !